First look on the suicidal squad and their new look. It's been a while since the last time I blogged about the Hobbit but of course I won't miss this very last and ultimate trailer for the final film in The Hobbit Trilogy. Watch the epic trailer after the jump. 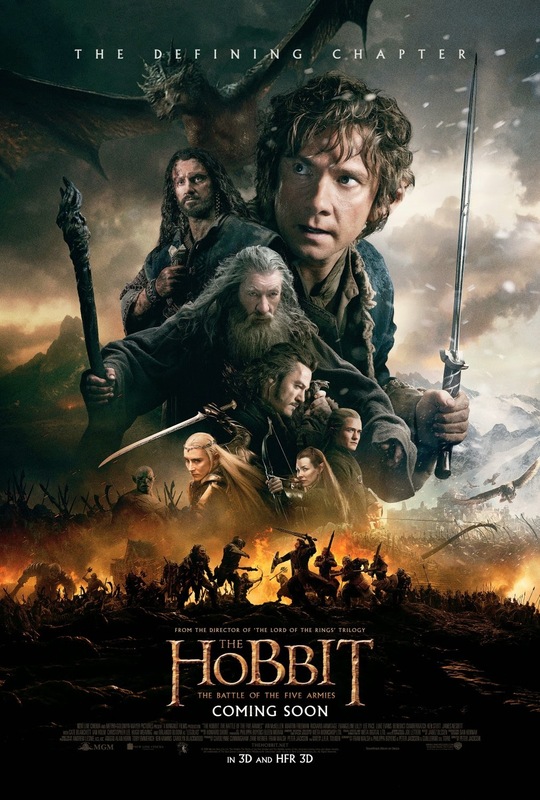 The third in a trilogy of films adapting the enduringly popular masterpiece The Hobbit, by J.R.R. Tolkien, “The Hobbit: The Battle of the Five Armies” brings to an epic conclusion the adventures of Bilbo Baggins, Thorin Oakenshield and the Company of Dwarves. Having reclaimed their homeland from the Dragon Smaug, the Company has unwittingly unleashed a deadly force into the world. Enraged, Smaug rains his fiery wrath down upon the defenseless men, women and children of Lake-town. Obsessed above all else with his reclaimed treasure, Thorin sacrifices friendship and honor to hoard it as Bilbo’s frantic attempts to make him see reason drive the Hobbit towards a desperate and dangerous choice. But there are even greater dangers ahead. Unseen by any but the Wizard Gandalf, the great enemy Sauron has sent forth legions of Orcs in a stealth attack upon the Lonely Mountain. As darkness converges on their escalating conflict, the races of Dwarves, Elves and Men must decide – unite or be destroyed. Bilbo finds himself fighting for his life and the lives of his friends in the epic Battle of the Five Armies, as the future of Middle-earth hangs in the balance. Opening across the Philippines on Dec. 12, 2014 in theaters and IMAX®, “The Hobbit: The Battle of the Five Armies” is distributed by Warner Bros. Pictures, a Warner Bros. Entertainment Company. My blog has recently been added to Movie Blogs, which is part of one of the largest networks of blog directories on the Web. Please visit my blog's personal page to vote for my blog and comment to other blog users. Wreck-it Ralph Character Roll Call: Level 2 - Fix-it Felix Jr.